Looking for a story to fill you with courage and a love of family? Until We Find Home is a war-time novel set in the rolling landscape and wide shores of 40s Britain. Looking for a Historical novel to get swept up in? With nowhere to go, Claire throws herself on the mercy of an estranged aunt, begging Lady Miranda Langford to take the children into her magnificent estate. Heavily weighted with grief of her own, Miranda reluctantly agrees . . . if Claire will stay to help. 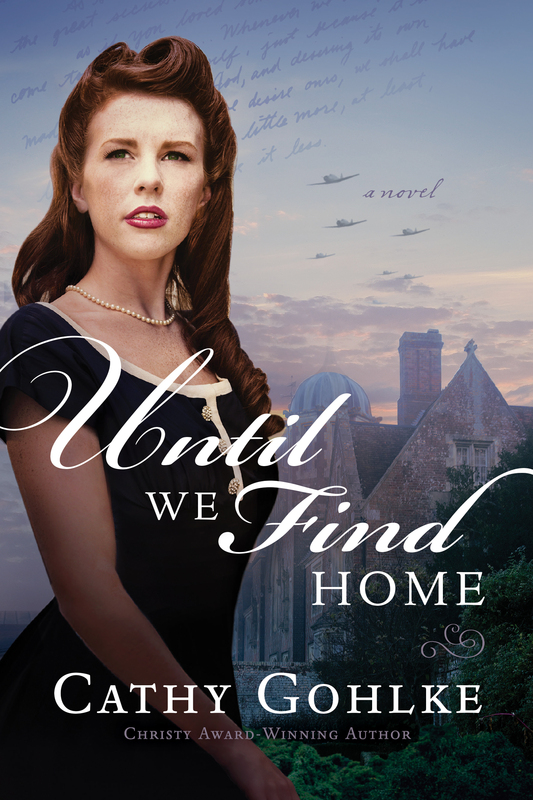 Though desperate to return to France and the man she loves, Claire has few options. But her tumultuous upbringing—spent in the refuge of novels with fictional friends—has ill-prepared her for the daily dramas of raising children, or for the way David Campbell, a fellow American boarder, challenges her notions of love. Nor could she foresee how the tentacles of war will invade their quiet haven, threatening all who have come to call Bluebell Wood home and risking the only family she's ever known. Until We Find Home by Cathy Gohlke was published by Tyndale House Publishers, Inc. in January 2018 and is our 1687th best seller. The ISBN for Until We Find Home is 9781496410962. Be the first to review Until We Find Home! Got a question? No problem! Just click here to ask us about Until We Find Home.